If you already know that you want a crossover SUV as your next vehicle, there are many options out there available to you. But not many can say that they are larger than a compact SUV and not as huge as a full-size SUV. The 2016 Toyota Highlander can. Mid-size crossover SUVs are great if you are looking for all of the power but want to make sure that you have just enough space for passengers as well as any cargo you need to tow along. Does this sound like the car for you? Then the 2016 Toyota Highlander may be the mid-size crossover SUV you should be taking a look at. If going with a Toyota as your next car sounds like a plan, then be sure to visit our sales team at Vann York Toyota, located near the beautiful city of Greensboro. Here, you will find our dedicated sales team who is ready to provide you with all of the information you may need regarding the 2016 Highlander. Shopping for a new vehicle is never an easy experience, but our team wants to make sure that you make the most informed decision possible. Drivers from all over Greensboro, NC can pay us a visit today to check out the all-new Toyota Highlander! Leave it to Toyota to always provide their customers with plenty of options to assist them in their vehicle search. This is always a good sign because many drivers are often looking for different things when it comes to choosing their next car. Having plenty of options when it comes to trims can definitely persuade a driver to choose a certain car, such as the 2016 Highlander. 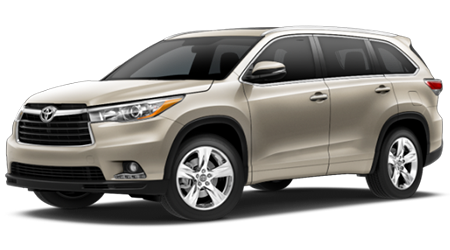 For 2016, the Toyota Highlander offers five different trims including the LE, LE Plus, XLE, Limited, and Hybrid Limited. You may not have realized that this many options were available, but again, Toyota wants to make sure that you are able to find the mid-size crossover SUV that suits you best. The LE has a starting MSRP of $29,990, the LE Plus has a starting MSRP of $33,895, the XLE has a starting MSRP of $36,815, the Limited has a starting MSRP of $40,415, and last, but not least, the Hybrid Limited has a starting MSRP of $47,870. You need to keep in mind that there are differences between the trims that can cause you to second guess a particular one, so in order to be safe, speak to one of our knowledgeable sales representatives here at Vann York Toyota so that you are able to find the best 2016 Highlander trim for you. There are several different engines available on the 2016 Toyota Highlander. These options allow you to be in control of the power you are looking for in your crossover SUV. On the Highlander LE, you have a choice between three different powertrains: including a 2.7-liter 4-cylinder paired with a six-speed automatic and FWD or a 3.5L V6 paired with a six-speed automatic and either FWD or AWD. The LE Plus, XLE, and Highlander Limited have an option between two different powertrains including the 3.5-liter V6, they can opt for either FWD or AWD; the six-speed automatic transmission is still included. The 2016 Toyota Highlander is an excellent choice for your next vehicle, whether you are looking to get a crossover that fits all of your passengers or you just want an SUV. No matter the reason, we are here to help, at Vann York Toyota we have a wide selection of new Toyota Highlanders for sale near Greensboro. You cannot get the true feel of the 2016 Highlander until you take it for a test drive, and once you do you will be ready to drive it off the lot tonight. Drivers in Greensboro, NC should not hesitate to visit us when they are ready to purchase a new or used Toyota!